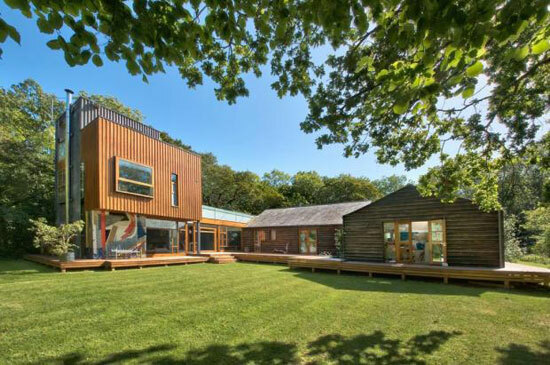 It is always nice to see a house from the Grand Designs TV show go on the market, not least because each and every one is just so popular. Rather like the show itself. 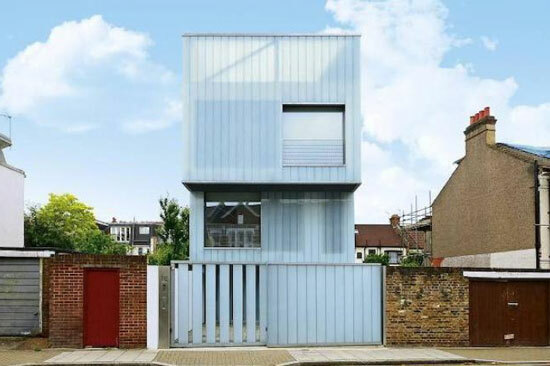 Bit some are more popular than others and here they are, the 10 most popular Grand Designs house finds on WowHaus. As ever, the rundown is reverse order to add an element of suspense. The house was featured back in 2014, with the build / conversion taking around two years in total. Tine well spent though as it was shortlisted for the RIBA house of the year award in 2015. Quite a project too. 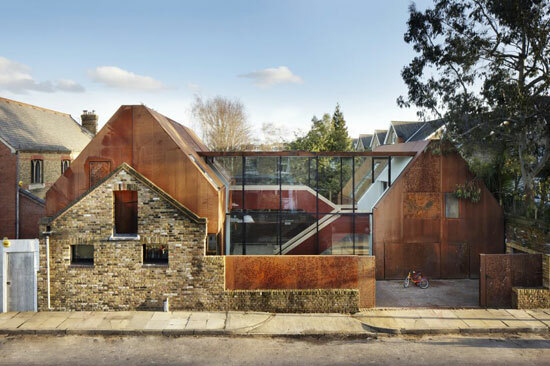 Initially derelict buildings, it was reworked by friend of the owners Stuart Piercy, producing something very modern but at the same time a building that didn’t forget its past. 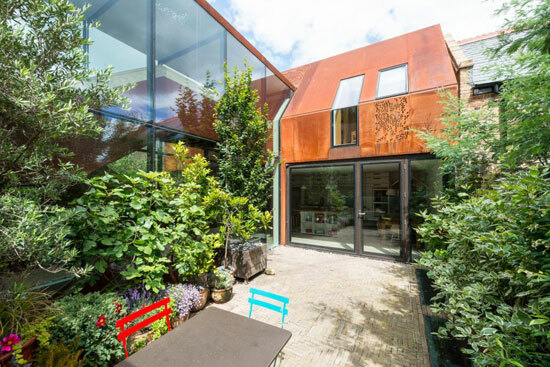 Love the weathered steel cladding, the glazed block connecting the wings and of course, the indoor slide, which is top of my wish list if I ever take on a project. This one dates all the way back to 2007, although it actually hit the market much later. One of my favourites, perhaps because it has a touch of Californian modernism about it. 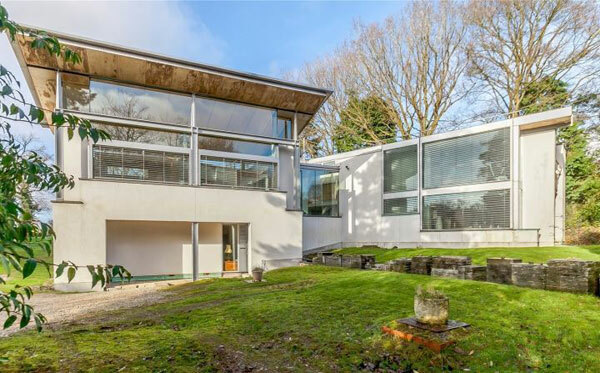 Open plan living, an impressive double height wall of glass and plenty of luxury. Yes, there is a pool outside. A credit to architect Martin Pease. I always think of this one as having something of a Bauhaus influence. Although it is a million miles away from early century modernism at the same time. It is because the design, the work of Mary Martin and Carl Turner from series 8, is just so minimal. No unnecessary detail and all the more stylish for it. It’s the kind of house that makes you want to have a huge clear out. The exterior, described as a ‘giant stack of glass cubes’ is quite something too. I think we all remember this one and the ‘journey’ that the designer and his wife undertook to get it built. It was actually 2010 when this one was built, with the house since being part offered as a holiday let and being offered for sale in its entirety. A stunning setting and bold architecture that does sit well in its lakeside setting. As dramatic inside as it is on the outside and when the rain comes down (as it does a lot in this area), you can always have a dip in the indoor pool. Think Amersham and you think of the iconic High & Over or the associated Sun Houses. But these days, you might also think of The Inverted-Roof House. Ok, not quite as iconic as the others, but fondly remembered from the TV show, not least because of the man behind it, Tom Perry. It was very much a labour of love and a house that really was a long term project. In fact, the 2003 project went on the market just this year and still in need of finishing off, despite being lived in for a decade or so. This one dates from 2010, transforming an old bungalow into something rather special. 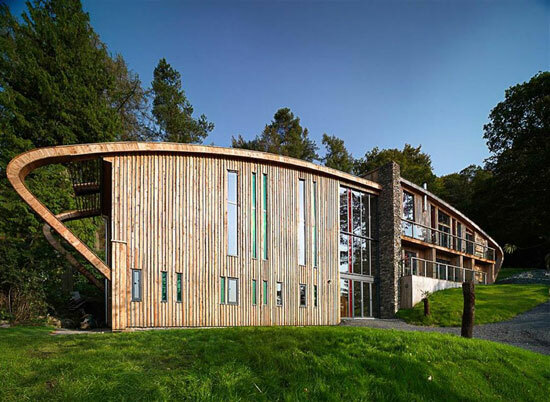 That ‘special’ place was a house that blended into its woodland surroundings, but still with a ‘wow’ factor and flexible space within, right down to the artist’s studio and office in the extension. A house worthy of the ‘Grand Design’ name and one of Kevin McCloud’s Top Ten Grand Design Projects as well an award winning residence. Not bad for a conversion. This was ahead of the pack for months and years, but of late it has lost a bit of ground. But none of its appeal. 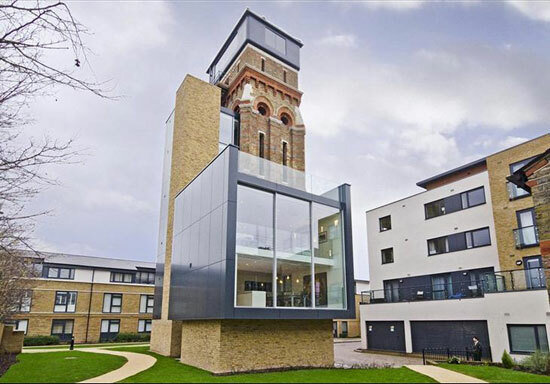 It was featured in the 100th Grand designs show on Channel 4 in 2012, a conversion of a derelict tower into the classic ‘old meets new’. But with more a contrast than most. You still have the original York stone staircase, the stunning exterior and a top floor space created from the old water tank, offering 360-degree views over London, with the modern glass cube adding in the contrast and the extra living space. An amazing transformation. 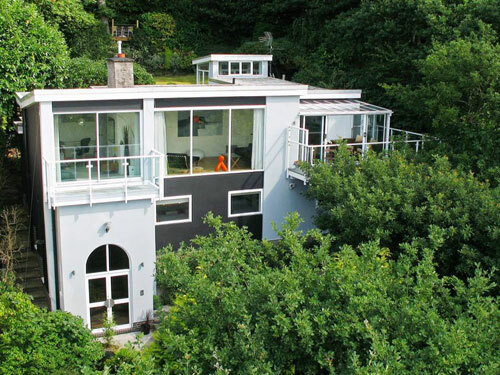 Probably always to be known as the huge modernist house, this was the biggest house ever constructed on the show when it featured back in 2015. Modernism in a grand scale, with internal space of around 5,533 sq. ft. and in the show there was debate about whether that amount of space would translate into a useable family home. 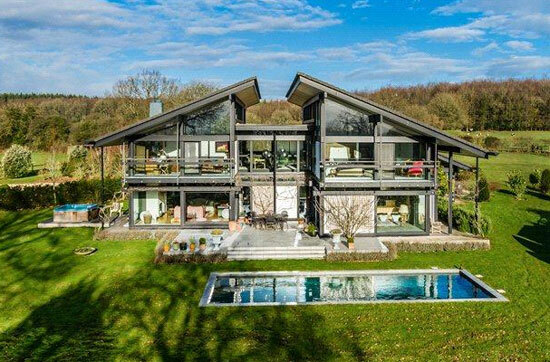 You can make your own mind up on that, but for me it is quite a dramatic build with all that light and space, with some neat design touches and plenty of luxury, right down to the pool outside. Oh, still on the market too. Another fondly remembered property, and not just be me judging by its popularity. Conversions seem to be something of a staple of Grand Designs, with this one being one of the earlier examples, dating back as far as 2002. 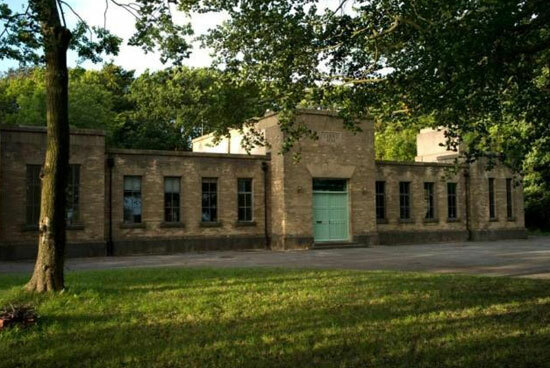 A disused water works, it was converted into a modern family home without losing its original period details. Again, it is the mix of vintage and modern, with the former being more prominent in the finish. Saying that, the likes of underfloor heating and the cinema projector aren’t things you would spot in the photos. This is a contemporary living space that hasn’t lost its heritage. And the winner is…well, this one. I know, it isn’t an obvious winner, but it has been consistently the most popular Grand Designs find over the years. 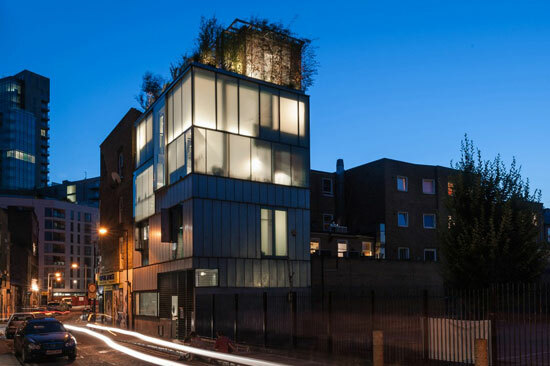 It dates back to around 2013, built by e house was built by Jonathan and Deborah Broom on ‘a scrap of land right in the gritty heart of north London’ both above and below ground. In fact, it extends around six metres underground. A mix of living and work space, it has all the premium touches you would expect of a custom build, a couple of offices (which can be turned into bedrooms), its own nanny flat, substantial outside space and a leisure area, made up of a quarter Olympic length lap pool, gym and sauna. Luxury everywhere, but it did come at a price. Of course, there are others too. Have a browse of the Grand Designs section, as new ones comes up all the time. Archived editions of some of the shows can also be found at the All4 website. Would love to have any info, background, photos, etc. 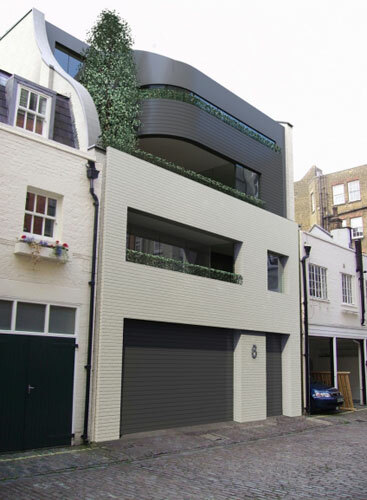 of “Modernist property in London NW1”, including the original sight difficulties.